Complete with 8 pages, a little wear along the bottom margin, generally very nice. 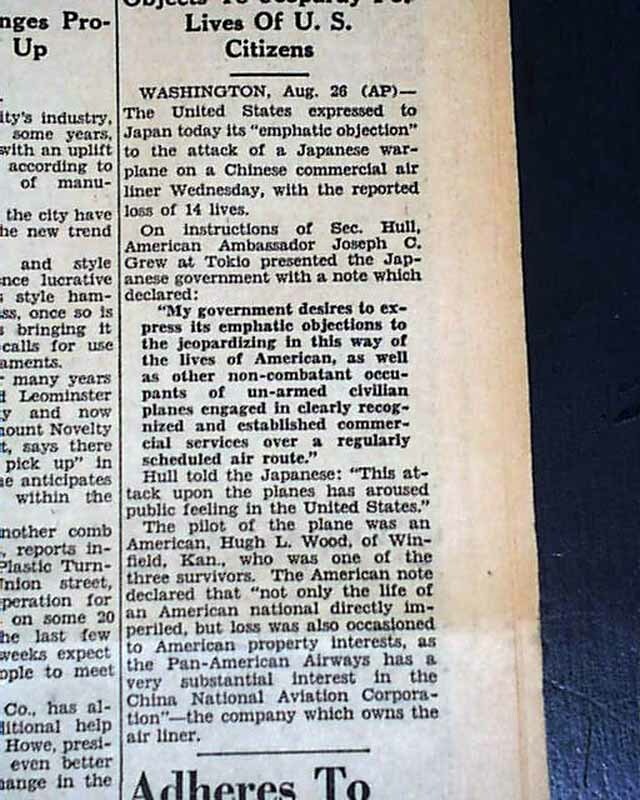 wikipedia notes: The Kweilin incident occurred on August 24, 1938 when a Douglas DC-2 airliner (the Kweilin) carrying 18 passengers and crew was destroyed by Japanese aircraft in China. There were fourteen fatalities. 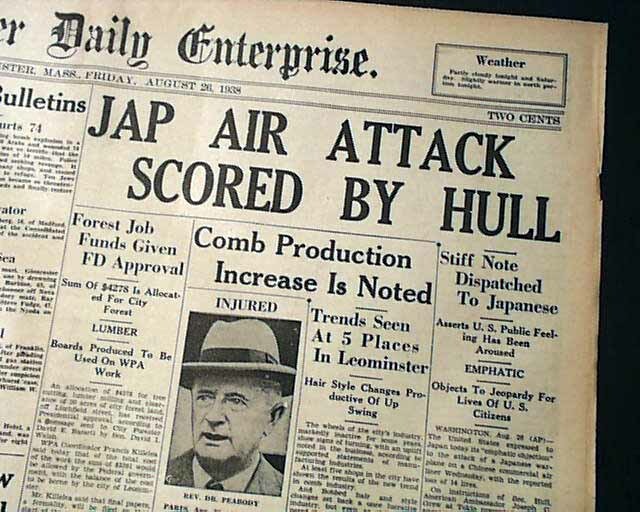 It was the first civilian airliner in history to be shot down by hostile aircraft. The pilot was American and the crew and passengers Chinese. 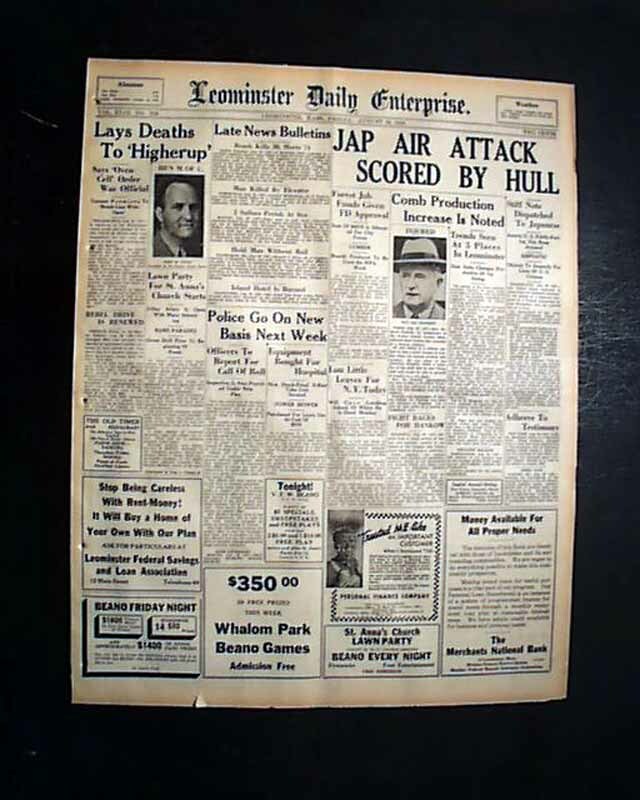 As it was unprecedented for a civilian aircraft to be attacked, there was international diplomatic outrage over the incident. 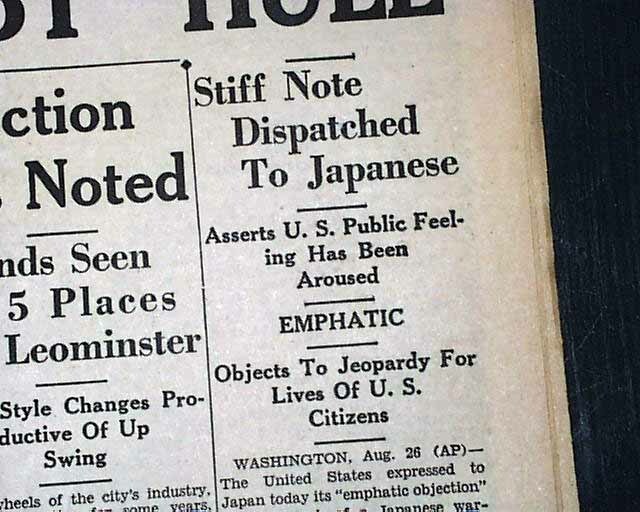 In the United States, it helped solidify the popular view that Japan was morally wrong in their war against China, but the incident was not enough to spur the US into action against Japan despite Chinese entreaties. The Kweilin was re-built, and destroyed by the Japanese a second time two years later.